Hardware manufacturers are tripping over themselves to build flashy virtual reality head mounted displays but the PCs to power these devices receive little attention. HMDs such as the Oculus Rift and HTC Vive are only one half of the VR equation. The answer is likely “No.” VR content requires a powerful gaming PC to pump out the high frame rate required to make the experience fluid and enjoyable. Many people will have to upgrade their graphics card or invest in a new PC to meet the minimum specs required. What are those specs? Oculus and HTC have both released official recommendations for PC system requirements and interestingly the specs are almost identical. The main difference between the two requirements is the amount of RAM and the number of USB ports. The Rift requires more of both. The good news is RAM is cheap and any modern motherboard should have the correct number of USB ports. If building your own PC seems too daunting don’t worry, you can buy an Oculus Ready PC bundled with the Rift and save yourself some stress. The recommended specs are a good starting point for the build. One of the main goals for a VR PC build should be flexibility. If you’re going to invest the money in a PC now it’s a good idea to make sure the hardware will still be relevant 12 to 18 months from now. At the same time you should resist the urge to purchase today’s top of the line components. You’ll be paying a premium for a slight performance edge that will be eroded when the next generation of GPUs arrive. Save that money and upgrade later. After doing some research I knew I was interested in building what could be described as a budget performance PC. I wanted my overall build to be inexpensive, have flexibility for future upgrades, and have the power to meet and exceed the Oculus and HTC recommended specs. I wanted to invest some money upfront in the processor and motherboard so they wouldn’t have to be upgraded later. Processor – Intel I5-6500– New Skylake processor from Intel, will offer excellent performance for the cost. This more than meets the recommended specs. Motherboard – MSI Intel Skylake B150 LGA 1151 – Modern and inexpensive. More than enough USB 3.0 ports for the Rift. This is a great foundation for a new PC and will support upgrades over the life of the PC. Great BIOS screen for easy setup. Graphics Card – EVGA GeForce GTX 1070 – The new generation of GTX cards. Great performance at a slight premium, this will hold you over for quite awhile. If you’re looking to save some money consider the GTX 970. Memory – Kingston HyperX FURY Black 8GB – Nothing too special here, starting off with one stick, it’s easy to drop in a second down the road. Storage – Samsung 850 EVO – 250GB – Solid state drive for the OS. Note that this is on the small side, you may want to spend a little more money upfront here and buy a larger drive I plan to add in a 3.5 SATA disk in a few months for game storage. I’ve had bad experience in the past with SSDs so I prefer to stick with a brand name. CPU Cooler – Cooler Master Hyper 212 EVO – A best seller for a reason. Inexpensive, quiet, and enough cooling if you want to overclock. Case – Corsair Carbide Series 200R – Nice budget case for the money with plenty of cooling. The case adds two additional USB 3.0 ports in addition to the motherboard, just make sure you install the correct drivers after you land the cable. 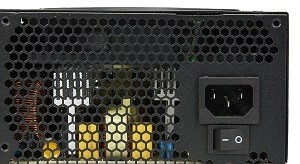 Power Supply – Rosewill 650W ATX12V – Nice power supply to support future upgrades, the modularity of cables helps keep things clean. OS – Windows 10 Pro USB –While I still prefer Windows 7, I can’t recommend it for new builds. Windows 10 is the future and it comes on a USB stick for easy installation. VR System – Pick your poison here, the Rift and Vive are both available through Amazon with Prime shipping. Don’t forget Oculus Touch either. This should be everything you need to put together a nice gaming PC with upgrade potential. I included Amazon links for everything but I recommend you shop around. I was able to save some money on the processor and motherboard with a combo deal through Newegg. Never built a PC before? It’s easier than you think, everything snaps together. I recommend the step-by-step guide at Tom’s Hardware.